Since completing a BA in Political Theory at the University of Alberta in 2012, I have spent approximately one year living and working in Tanzania on various development projects. While working in Tanzania last year as the development director of an NGO, I volunteered part of my time as a veterinary assistant with a local dog rescue/shelter and helped vaccinate over 4000 street dogs—only 4 post exposure rabies shots were needed! In 2015, I completed an MSc in Political Theory from the London School of Economics (LSE). My dissertation explored game theoretical interpretations of Thomas Hobbes’ state of nature in light of modern scientific evidence. I hope to pursue a PhD in Philosophy in the near future. My name is Maria and I am originally from Lima, Peru. I recently graduated from the University of Victoria with a double major in Political Science and Environmental Studies. I am currently working with UVic’s Student Society, as the Graphics Director Assistant. This means that I am doing anything from social media and marketing, designing, or assisting with video or photoshoots. I am also very proud to have been a tree-planter for Summit Reforestation for the past four summers, working all over BC’s and Alberta’s wilderness. Ultimately, my passion in life is to protect the environment through sustainable development, promote social justice and support indigenous rights. I have been able to do this through various volunteering experiences, including my internship with Sierra Club B.C, and my position as the Canadian Delegate at the World Student Environmental Summit in South Africa. My intent for this internship is to make a meaningful and positive impact in the community of Viacha, and perhaps plant a tree or two. I want to promote environmental protection, while also keeping in mind their economic development. Overall, I am just excited to get some tangible experience as a young professional, and learn about Viacha’s culture. Lastly, I want to see the dried fetus llamas everyone talks about. Tatiana paralleled her Major studies in Business, Marketing with an in-depth self-taught knowledge on bio-diverse agriculture, environmental engineering, and permaculture. While visiting farms around different continents and discussing sustainable practices with municipal governments, mainly of Guardalavaca, Cuba and attending classes on Green lessons from Scandinavia. Tatiana is the founder and CEO of Permalution and she also worked for the federal government of Canada for three years, gaining valuable perspective on governmental relations and methodologies. In addition, Tatiana is fluent in Spanish, French and English, published author and direct translator for Hispanic language studies about fog water harvesting, language most used for research development and designs in the current fog handcrafted industry. She is currently actively involved in the San Francisco Urban Agriculture Alliance, and SF Permaculture guild. Being born in Bolivia and growing up in Chile and Canada, Morin’s connection to Latin America is an inherent part of herself. Her surroundings growing up in North Vancouver automatically influenced her love for the outdoors. After a long scenic route of academia, Morin graduated with a BSc in Environmental Science from the Simon Fraser University. For nine years, and counting, Morin has worked as a gymnastics instructor and considers movement as a large part of her life. She is looking to broaden her experience in sustainable development and is currently working as a Land Use Planning Research Assistant at IMEPLAN in Guadalajara. Morin’s ultimate mission is to lead a life of minimal environmental impact and inspire others to do the same. My first international experience was moving from busy Bogotá, Colombia to calm St. Catharines, Canada. This journey triggered my sense of discovery. I chose to study Environmental Studies and French at the University of Ottawa, my degree sparked my interest in various subjects such as Indigenous Knowledge, Environmental Empowerment and Environmental Education. As a student, I had the unique opportunity to work as a Page at the House of Commons, participate in research projects with the Centre of Global Engagement, work at the International Office promoting and improving the Science without Borders Program and volunteer at the Canadian Museum of Nature for the National Herbarium of Canada. I have taken every opportunity I have to travel and learn, this is why the Sustainable Cities Internship is perfect for me. After spending a year in São Paulo, Brazil and six months teaching English in Zipaquirá, Colombia my interest for Latin America has only grown. My aspiration is to continue learning about Latin America, social security as well as urban sustainability. As an intern, I hope to make meaningful connections, put my knowledge into practice and have a positive impact in Los Cabos. Originally from Vancouver, Madison graduated from the University of Victoria with a double major in Environmental Studies and Anthropology. During her degree, she conducted research on community and regional coastal-marine conservation in both the Gulf Islands and the Pacific Rim National Park. Her interest in food security led her to Cuba for a self-directed study on community-based urban agriculture through the Anthropology department. Madison also worked as a project manager with the international NPO Mosqoy, which promotes educational and cultural rights for Andean communities in Peru. These opportunities have helped to cultivate her interest working in sustainable development. Madison’s greatest passion in life is travel. She has lived, backpacked, worked, and studied in over thirty-two countries across six continents. She is excited for the opportunity to explore more of Africa during her internship and to broaden her global perspective. Elijah Masek-Kelly is a social entrepreneur who seeks work that is measured by practical impact and valued for its social significance. Elijah thrives on a challenge, and he employs his resourcefulness and creativity to develop innovative solutions to complex problems. As a Dean’s List Graduate from Dalhousie University with a Double Major BA in International Development Studies and Creative Writing, Elijah understands that local and global issues are multifaceted in their influence, which enables him to respond with a critical perception that is derived from his wide range of experience and skillsets. Among many things, Elijah is a prize-winning writer, a recognized community organizer, and an artist in many forms. Elijah believes in non-hierarchical leadership, and he is passionate about developing small businesses that provide its stakeholders with ownership over their own livelihoods. Elijah is founder of The Hungry Woodsmen, a reclaimed/salvaged furniture business; Co-founder of SEEZ Magazine, a forum for subversive commentary; and most recently, Founder of Backyard Farmers, a backyard sharing system in downtown Toronto. He has also worked with many organizations including Toronto Community Housing, Free the Children, Sustainability Ontario Community Energy Co-operative, and multiple community centres in his pursuit for meaningful work. I am a recent graduate of the Development Studies Masters programme at York University in Toronto. York University offered me my first experience learning and assisting in development for a small NGO in El Salvador. Since then, I have dedicated my studies and practice to working in solidarity with communities and youth in Latin America. Last summer I interned with government institution, the National Institution for Youth (INJUVE) and with an NGO, the Centre for Interchange and Solidarity (CIS) in San Salvador, El Salvador. Both these positions allowed me to participate in assisting with youth volunteer programs throughout the country. These positions allowed me to gain further experience in research and analysis, project management, and monitoring and evaluation. I am also fluent in Spanish and French (pero debo practicar mucho más)! I am a young, passionate and outgoing food security enthusiast actively involved in my community. I believe that food is a primary foundation for healthy lives, communities, local economies and ecosystems. I aspire to educate others and make this a reality in communities locally and globally. Born and raised in Wakefield, Quebec, I have always been surrounded by environmentally conscious individuals that advocate for change within their community. I went to Acadia University to pursue my Bachelor’s Degree in Environment and Sustainability Studies with a Minor in Sociology. I completed an honours thesis titled: Exploring the Impact of Capacity Building for Positive Food Environments. This was a service learning partnership with Halifax’s Ecology Action Centre, analysing and developing food security initiatives in low-income urban communities. Through my University degree I combined my passions of food, the environment and education getting involved as the president of Meal Exchange, delivering environmental education programs for elementary students, and coordinating environmentally conscious events and meal plans for the university dining hall. I am excited to embark on this learning and skill building experience and develop strong connections in Los Cabos, Mexico. I graduated from the University of Waterloo with a Bachelor of Environmental Studies in International Development as well as a Diploma in Environmental Assessment. During my undergraduate degree, I became very interested in sustainable local economic development and focused my coursework on this topic. My other interests include the role of the private sector in development, the effects of rural-urban migration, and environmental conservation. I was fortunate to be able to put my education into practice during an eight month placement in Kathmandu, Nepal, where I worked as a Research Intern with an environmental non-profit organization. This experience motivated me to continue working internationally, learning new languages, and expanding my knowledge base. I’m very excited to travel to Los Cabos (and Mexico!) for the first time and I look forward to applying my education and experience in a new setting. 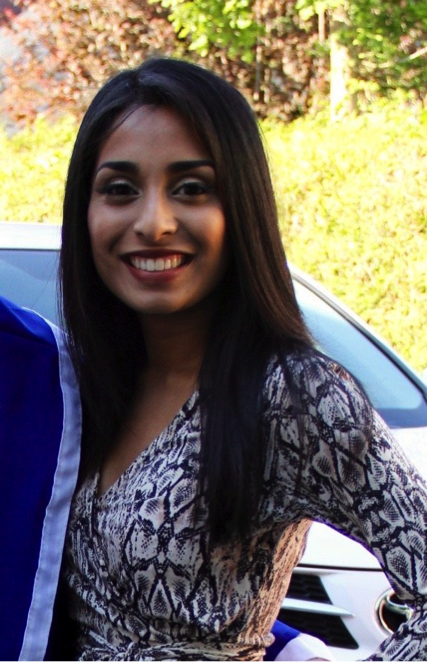 Bhavina is a recent graduate from Simon Fraser University with a B.A. in Geography. While at SFU, Bhavina was part of the university’s Canadian Red Cross and Unicef groups. She has been involved in bringing awareness on social and environmental issues, which has led to her involvement with the Canadian Red Cross’s Faces of Humanities campaign. She is also a regular volunteer at the Surrey Food Bank, where she assists in coordinating and managing the Tiny Bundles/New Born family packages, which focuses on the vital nutrition needed in early child development. She has also volunteered with the Canadian Mental Health Association branch in New Westminster, B.C., helping to integrate patients back into society. As recognition for her commitment towards community development and human equality, she was rewarded the Annual Student Mahatma Gandhi Peace Award from the SFU Institute of Humanities, the India Club of Vancouver, and Thakore Charitable Foundation. Her ideal job would be a combination of her passions for sustainable community development, with a particular focus on helping vulnerable populations, concerning the rights of children and women; ensuring they have equal opportunities to education and health in safe environments. I recently completed my Masters graduate program in Development Studies at York University in Toronto. Since my undergraduate career in International Studies at SFU, I have developed a strong passion in sustainable economic development and environmental studies therefore channeling my studies towards that area. I am from Colombia, and I have a special interest in working in international development in Latin America. I have experience working with rural communities in Colombia, engaging in research and analysis of agricultural production and rural development. For my graduate research work, I conducted primary research in Colombia looking at the impacts of gold mining on a rural community. I hope to be able to learn new forms of understanding and practicing sustainable development from the community of Viacha, and to contribute to the integral development of the community. I love meeting new people from culturally diverse backgrounds, love trying out new foods, travelling and the outdoors. I am very excited about the opportunity in Bolivia! Hi there! My name is Kendra, and I’m a graduate of the International Development bachelor program from the University of Ottawa. I graduated in 2015 after ending my post-secondary studies on a high-note: two semesters abroad. I spent six crazy months living (metaphorically) on my bike in Amsterdam, where I learned to rock a wind-swept hairstyle, discern the most ‘gezellig’ cafes in the city, and correctly pronounce Van Gogh. After I had that down, I headed off to Taiwan where I ate strange, but delicious, foods (I’m looking at you red bean and taro shaved ice), spoke Chinese, and learned to trust that everything would work out okay. I’ve spent the last year working as a Laser Operator, and along with that, found a new interest in graphic design. I’ve spent the winter working, and studying graphic design at Fanshawe College, and I’m now ready for a new challenge! I’m off to Senegal, I have no idea what to expect- and that’s the way I like it. I’m looking for a life full of new experiences, and learning opportunities, and I hope that’s what Senegal has in store for me! Kieran graduated from Dalhousie University with a double major in Environmental Sustainability and Society and Community Design with an honours in Urban Planning. She completed her honours thesis on land use planning as a tool for climate change adaptation in coastal Nova Scotia, focusing on how land use policies and plans are adaptive or maladaptive projected sea level rise flood scenarios. She has also worked on projects concerning sustainable transportation, site design and development, sustainable urban stormwater management and cultural and heritage strategic plans. Kieran is passionate about sustainable urban planning and community engagement. Through her time at Dalhousie, Kieran worked as a Capital Planning intern with Dalhousie Facilities Management and as a GIS Teaching Assistant for the Dalhousie School of Planning. She volunteers with PLANifax, a non-profit organization dedicated to creatively educating the public on urban planning issues and news. She is also an avid volunteer for the Ecology Action Centre and the Dalhousie Student Union Farmers Market Cooperative. Kieran’s ultimate goal is to help cultivate sustainable and happy cities, which find a balance between the environment, society, and economy, while emphasising the importance of citizen involvement in the community planning processes. My first sustainable development experience occurred when I was 15 on a volunteer mission trip to Camaguey, Cuba. I assisted the director of the organization while he assessed structures that were in need of upgrading, taught business skills to the community and provided seeds and other renewable crops to those in need. This experience had a lasting impact on me and at the age of 15, I knew I wanted to engage in further development activities, but I did not possess any clearly defined skills just yet. As a recent graduate of the Bachelor of Management – Focus in Intl Business program at Dalhousie University, my skills lie within: Financial Management, NFP Marketing, Economics and International Business Strategies. My employment experience is largely based around Business Development, Sales, Revenue Generation and Relationship Management. I first learned of the opportunity with Tanzania Financial Services For Underserved Settlements from Steve Edwards, close friend and previous IYIP intern. I knew right away that this was the opportunity I was looking for. Dr. Evans – Director of TAFSUS was looking for a business minded individual and Steve was confident that I could lend my education and employment experiences to help TAFSUS achieve its goals. Hailing from and studying in British Columbia’s lower mainland, Gareth recently graduated from Simon Fraser University with a double major in Business and Human Geography. While there, he fostered an interest in urban sustainability through his time at the cohort based project school CityStudio, involvement as a Board Director with Embark Sustainability and engagement work with SFU’s University Sustainability Office. In 2014, he travelled to Lund, Sweden for an academic exchange semester where he lived within and studied leading urban design and planning characteristics that we have come to associate with Scandinavia. As the Engagement Strategy Coordinator in Durban, Gareth hopes to channel his passion for creative urban solutions and celebrating the unique elements of place while learning from and contributing to the goals of the eThekwini Municipality.